A book about a former Jewish atheist who converted and was later canonized may seem an odd choice for Advent reading but this is the book I chose. 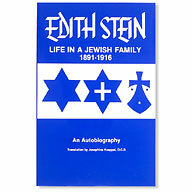 It is the unfinished autobiography of St. Teresa Benedicta of the Cross, formerly Edith Stein. Her autobiography was interrupted by her arrest and ultimate death at the hands of the Nazis. This book which spans many years in the writer's life is fascinating in its frankness in telling her family's story. In the first part she shares the good times and the hardships growing up in the family home. She is very open with the stories of problems and struggles within the family. 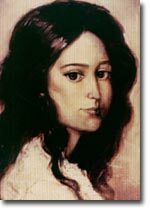 I was surprised by the family disputes, quarrels and rivalries that she shared. I felt grateful to her for taking me, the reader into her confidence and trusting me enough to share what she did. 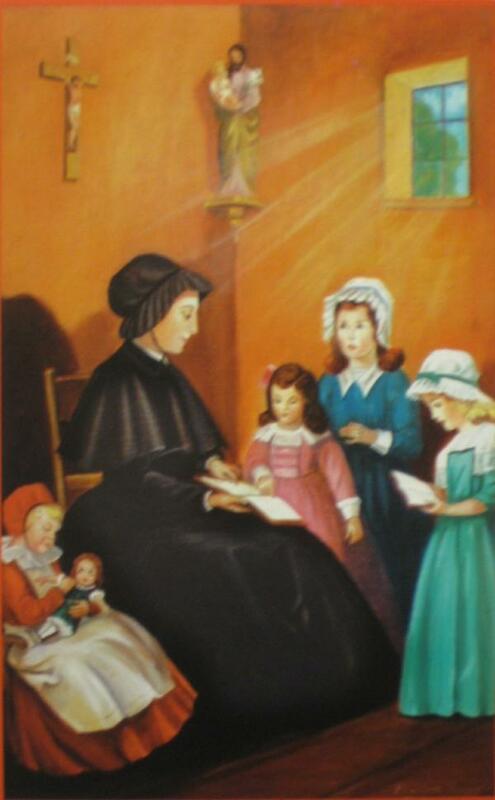 Edith Stein, who wrote this after becoming a Catholic did not want to portray her family as a holy family but a normal family with normal every day troubles. Because she wrote this autobiography as a Catholic, she makes references to certain situations from a Catholic perspective even though it involved Jewish individuals. The second part of the book is filled with her memories of her time as a student. She was a student of philosophy in Germany. During that time period Europe was the mecca for academia and art. She was a member of a philosophical society in which one of its founders was none other than Dietrich von Hildrebrand another famous Catholic convert. Her first cousin was mathematician Richard Courant. 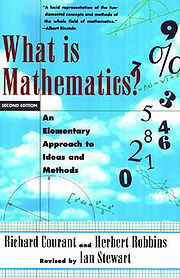 He co-authored a well-known book on mathematics with Herbert Robbins entitled What is Mathematics. In the Stein autobiography she speaks in a warm way of her cousin, with whom she had a close relationship. 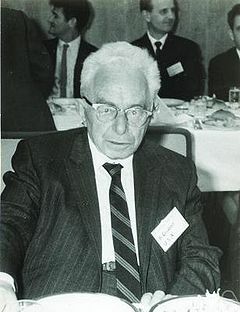 "The further removed things are from mathematics, the more complicated they are; and nothing is as far removed from mathematics as housekeeping." - Nelli Courant, mathematician and wife of Richard Courant. 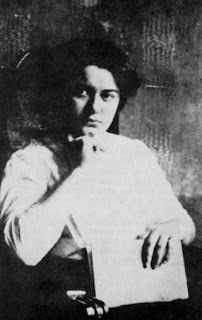 Nelli was not very well equipped to be a housewife according to Edith Stein. The manuscript continues on until it is abruptly stopped. Sad that it was never to be completed. 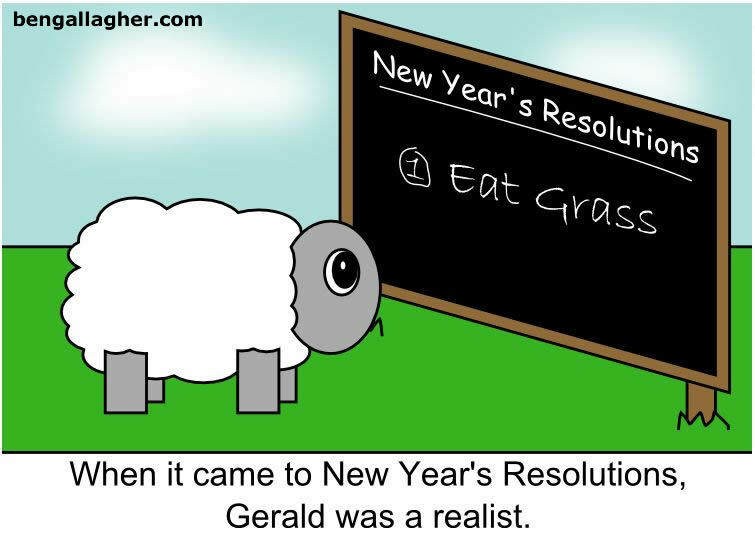 But then again, we all know how it turns out. 2. Daily Examination of Conscience. 3. Daily time for silence and listening. 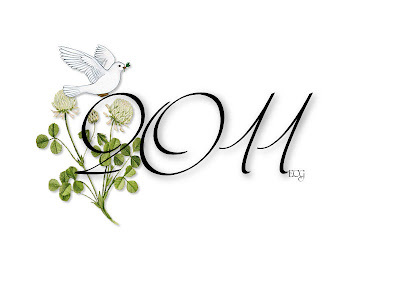 What salutation do you use in emails? My preference is to start an email to someone I do not know very well with Dear [Name]. I think this is just being polite. With family and close friends I use "Hi [Name]. However, some of the emails I receive are a cause of constant irritation to me by their salutation. Some start off with my name without anything preceding it... "Esther,...." Some get right to the point of the reason for the email without even mentioning my name or even signing off with their own name! I used to reply in kind to those impolite sender of emails. If someone left off my name, I would leave off their name when replying. I regretted it as soon as I clicked the send button. My parents raised us to have good manners. It is very uncomfortable for me to be impolite. So even though I cannot teach people to be polite, I will continue to do my part to use good manners when sending emails. 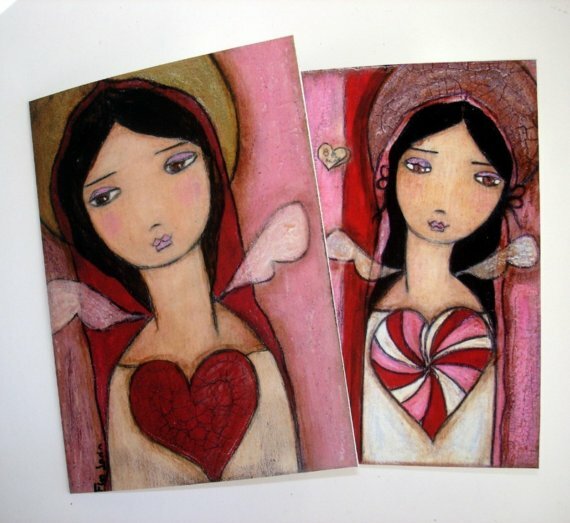 This artist's work is inspired by Mexican artist Frida Kahlo as you can tell by the above picture. The colors and the drawings are very pleasing to the eye. Right now, she is having a clearance sale. Check out her blog for details and links to her Etsy shop. 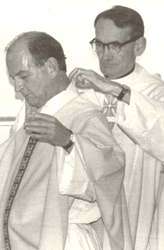 My friend Father Gordon MacRae has a moving tribute to Cardinal Avery Dulles and Father Rich John Neuhaus over at his blog here. Those of you following Father Gordon's story of injustice know of the support given to him by Father Neuhaus. Additionally, one of the prisoners at the prison with Father, converted to the Catholic faith recently. Father shared a link to his heartbreaking story with the light at the end of the tunnel, which he shared with the Catholic League in 2007. 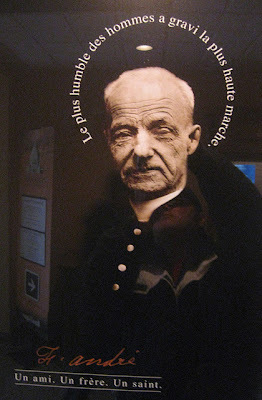 Father Neuhaus send him a letter of support which you will also read at Father's blog post. Please be sure to read it. More importantly, please be sure to remember Father and Pornchai in your prayers. 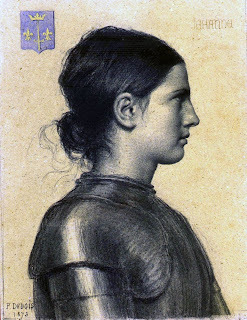 As I posted yesterday, today would have been Joan of Arc's 599th birthday. 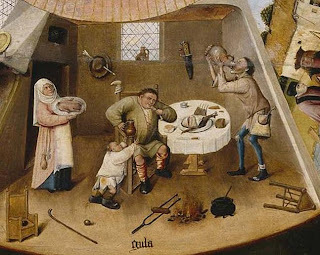 The following two posts/articles answer many questions regarding what constitutes a mortal sin. Our excuses are numberless. 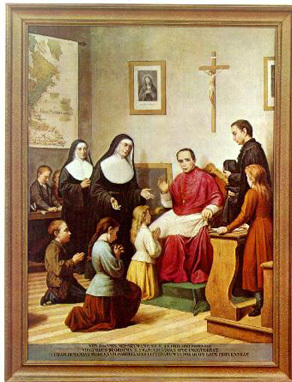 In fact, they are as numberless as our sins, none of which are now deemed by us (and, for sorrow, by many priests) grievous enough to preclude our receiving the Body and Blood of Jesus Christ in Holy Communion. Most often they are reducible simply to this: "I have not committed any mortal sin". For Catholics who have never been taught the difference between Mortal and Venial sin — which is to say, the entire last generation of Catholics — we must be clear about the notion of sin, especially the distinction between two kinds of sin, before we can proceed to even understand the necessity, as well as the inestimable value of Holy Confession. 2. 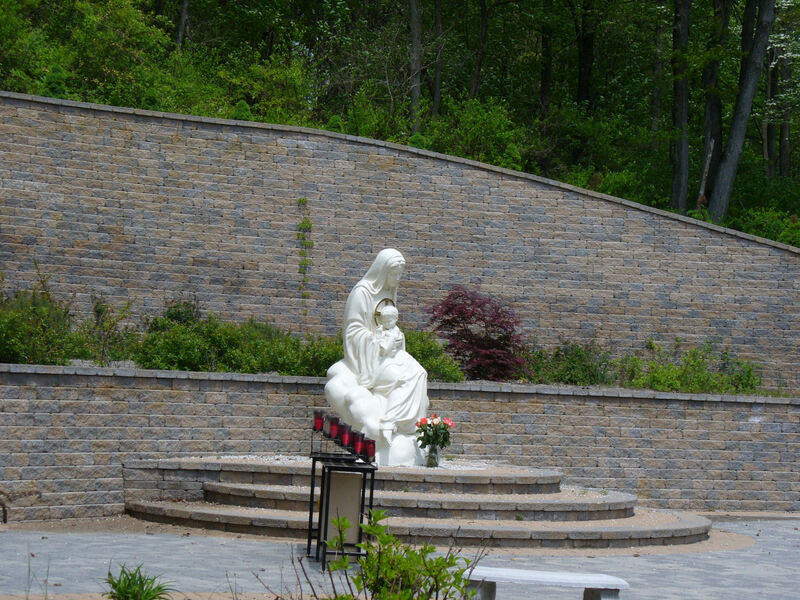 Aggie Catholics: What Constitutes Grave Matter - What Makes Mortal Sin "Mortal"? Q - My question is regarding the distinction between mortal and venial sins. I have read (many times over) the description in the Catechism, specifically sections 1854-1864. I am still unclear about the definition of grave matter. I'm not a murderer, thief or adulterer, so those grave matters are easy to exclude for me. But, how does a decent, law-abiding, generally respectful, person know how to distinguish when a sin has moved from venial to mortal? Section 1858 of the Catechism seems to imply that violation of the Ten Commandments is a mortal sin. But aren't venial sins also violations of the Ten Commandments? Are sins on a continuum where the same act could be defined as mortal or venial depending on how the sin occurs, to whom its directed, etc? 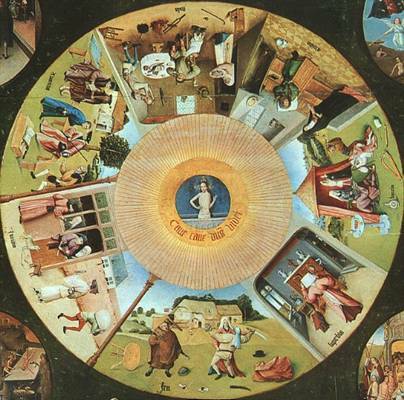 Is there a sample list of mortal vs. venial sins that could help clarify this for people? The first one was shared by Sue Cifelli. O Jesus, who on earth commanded and practiced a hidden life, grant that--in these our days of pride and outward display--the example of your servant John Neumann may lead us to follow your humble ways. Grant, O Lord, that like your holy bishop we may do all our work with the pure intention of pleasing you, and let not our deeds be done to win the favor of others but to give glory to our Father in heaven. 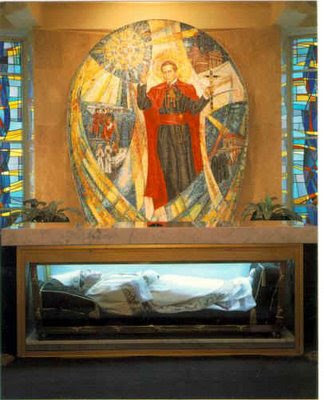 Incorrupt Body of St. John Neumann, C.S.s.R. For those interested in a pilgrimage check out Walk in the footsteps of St. John Neumann & Blessed Francis Seelos. I came across this pilgrimage info on the internet. 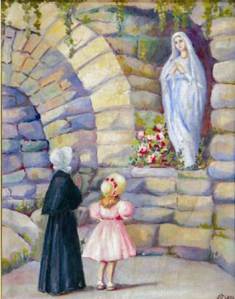 Aggie Catholics is fast becoming one of my top favorite blogs! Today they have good suggestions for making life better. The following are the first ten. 3. We have too much stuff - go through your stuff and give some of it away. Please check out The World Apostolate of Fatima: Honolulu Division for the decree. - I resolve to arrive at Mass early. - I resolve to go to the bathroom before I leave home, so I don’t have to stand in line outside the restroom for most of Mass, hopping from foot to foot. 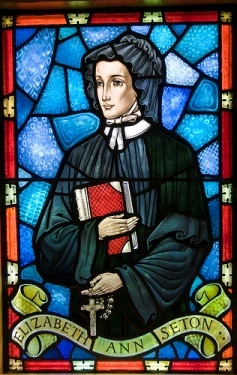 Elizabeth Ann Bayley Seton was the first native American born to be canonized a saint in the Catholic Church. 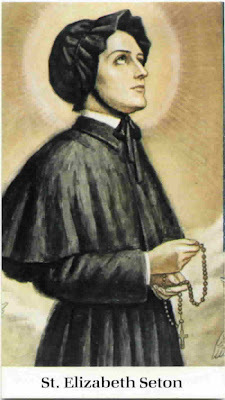 My Father and my God, who by the consoling voice of his word builds up the Soul in hope so as to free it even for hours of its incumbrance, confirming and strengthening it by the constant experience of his indulgent goodness; giving it a new life in him even while in the midst of pain and sorrows--sustaining, directing, consoling and blessing thro' every changing scene of its pilgrimage, making his Will its guide to temporal comfort and eternal glory--how shall the most unwearied diligence, the most cheerful compliance, the most humble resignation ever enough express my love, my joy, Thanksgiving and praise! To be engaged in the Service of our adored creator, to be set apart to that service,...to plead for Him, to be allowed the exalted privilege of serving H im continually, to be his Instrument in calling Home the wandering soul, and sustaining, comforting and blessing your fellow creatures-- are considerations which bear no comparison with any other and should lead you to consider the very possibility of your realizing the hope they present as the most precious and valued gift life can afford...A man may be a very good man in the pursuit of any other profession- but certainly that of a clergyman is the easiest, surest road to God, and the first, the highest, and most blessed that can adorn a Human Being. I WILL GO PEACEABLY & FIRMLY TO THE CATHOLICK (sic) CHURCH for if faith is so important o our salvation I will seek it where true Faith first began, seek it among those who received it from GOD HIMSELF. The controversies on it I am quite incapable of deciding, and as the strictest Protestant allows salvation to a good Catholic, to the Catholicks (sic) I will go, and try to be a good one. May God accept my intention and pity me. Our misery is not conform ourselves to the intentions of God as to the manner in which he will be gloried-- What pleases Him does not please us. He wills us to enter in the way of suffering, and we desire to enter in action. We desire to give rather than receive--and do not purely seek his Will. I am the happiest of creatures in the thought that not the least thing can happen but by His will or permission; and all for the best. I have had a great many very hard trials, my Father,... but you will of course congratulate me on them as this fire of tribulation is no doubt meant to consume the many imperfections and bad dispositions our Lord finds in me. Indeed it has at times burnt so deep that the anguish could not be concealed, but by degrees custom reconciles pain itself, and I determine, dry and hard as my daily bread is, to take it with as good grace as possible. When I carry it before Our Lord sometimes he makes me laugh at myself and asks me what other kind I would choose in the valley of tears than that which himself and all his followers made us of. 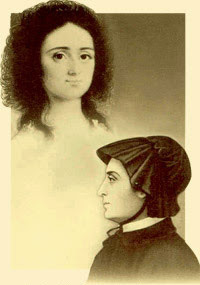 From Elizabeth Seton Selected Writings, edited by Ellin Kelly and Annabelle Melville, Paulist Press, Inc.
WATERTOWN, MA – (January 3, 2011) CATHOLICTV NETWORK, the nation's leader in family-positive religious programming, is going inside the walls of the Vatican, into Pope Benedict XVI's private residence and capturing intimate details of his daily life. Join Father Robert Reed as he serves as a tour guide on the ultimate insider excursion. Stand feet away as The Holy Father vests and celebrates private morning Mass, sense the joy as he creates new bishops for the Church, sit at the table in the pope's private dining room, accompany the pope as he meets with Heads of State, be escorted by Swiss guards inside restricted areas and catch the pope's private moments right before his most public encounters. Each year, millions of people jam St. Peter's Square for the Sunday Angelus blessing of Pope Benedict. But none of them have ever been inside the pope's private study the minutes before he steps up to his study window to address the masses. Be a part of this unique moment – the energy, the excitement and Pope Benedict's surprising calm. "There was so much unbelievable footage, the show could easily be twice as long. We crammed the most riveting, impactful and impressive moments in this fast-paced hour," said Reed. "It is a true honor for us at the CatholicTV Network to be able to share the Pope's daily life with our audience. Oftentimes, a show is just titled ‘a special,' this one really is." 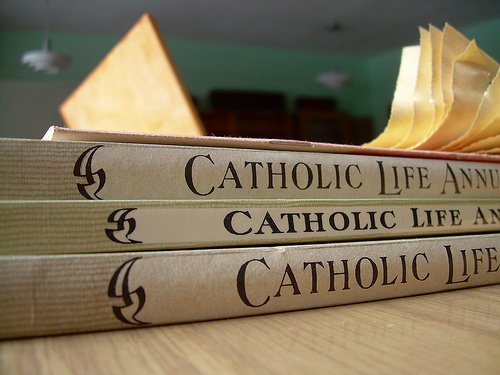 CatholicTV is a national broadcast television network streaming a live feed 24 hours a day at CatholicTV.com. Offering a wide range of programs aimed at children and adults, CatholicTV broadcasts in HD and 3D. For access to CatholicTV programs, go to CatholicTV.com or download the CatholicTV app for iPhone or iPad. 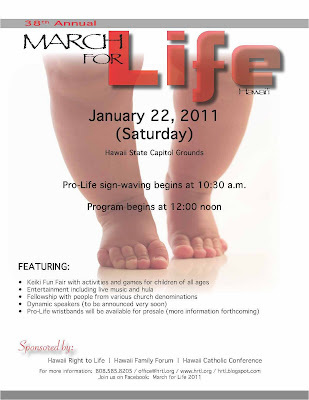 Please make a special effort to attend the Hawaii Rally and March for Life with your friends and family. This year the anniversary of Roe v. Wade falls on a Saturday which will make it easier for more people to attend and show support for life. Please spread the word! Note: This year Hawaii CatholicTV will be live-streaming the Hawaii March for Life. HICTv will be up and running by the end of January. 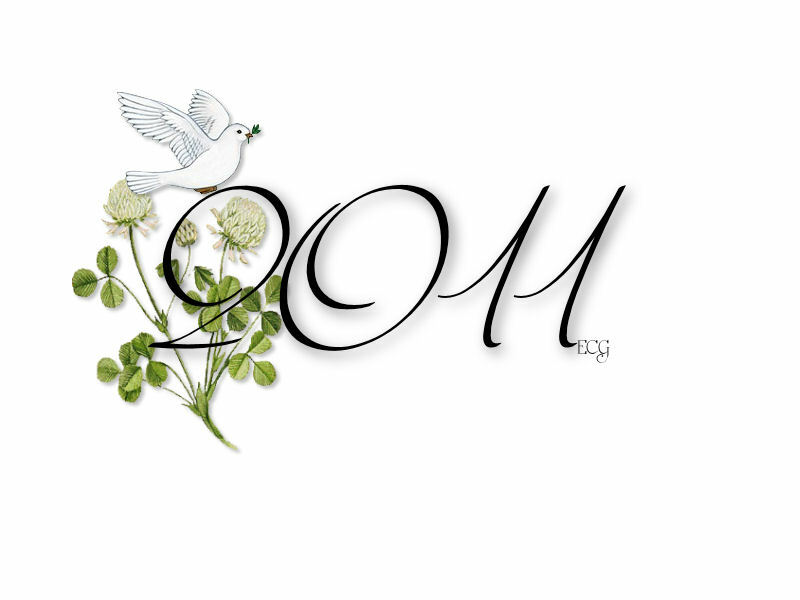 Please come by our website to view a number of live events as well as some special programs as we continue to build Hawaii’s first Catholic Internet Television Station. Honolulu, HI – Hawaii Right to Life is sponsoring the 38th annual March for Life Hawaii with co-sponsors Hawaii Family Forum and Hawaii Catholic Conference. The grassroots rally is open to the public and will be held Saturday, January 22 from 10:30am to 1:30pm at the Hawaii State Capitol grounds. The event is held each year on the anniverary of the U.S. Supreme Court's Roe v. Wade and Doe v. Bolton decisions, which legalized abortion throughout the United States. Hawaii Right to Life Executive Director Janet Grace noted that Hawaii was among the first states to legalize abortion in 1970 and that the rally was established annually in the wake of the Roe v. Wade decision in 1973. She remarked, “March for Life will mark 38 years since the U.S. Supreme Court's tragic decision decriminalized abortion through all nine months of pregnancy for any and all reasons. The March was started by grassroots pro-life advocates to protest this affront to justice. We believe that abortion is among the most extreme forms of injustice in America today and that over 55 million lives have been lost in the United States since 1973. That is why it is important to remember these innocent children and bring respect and dignity to their lives." 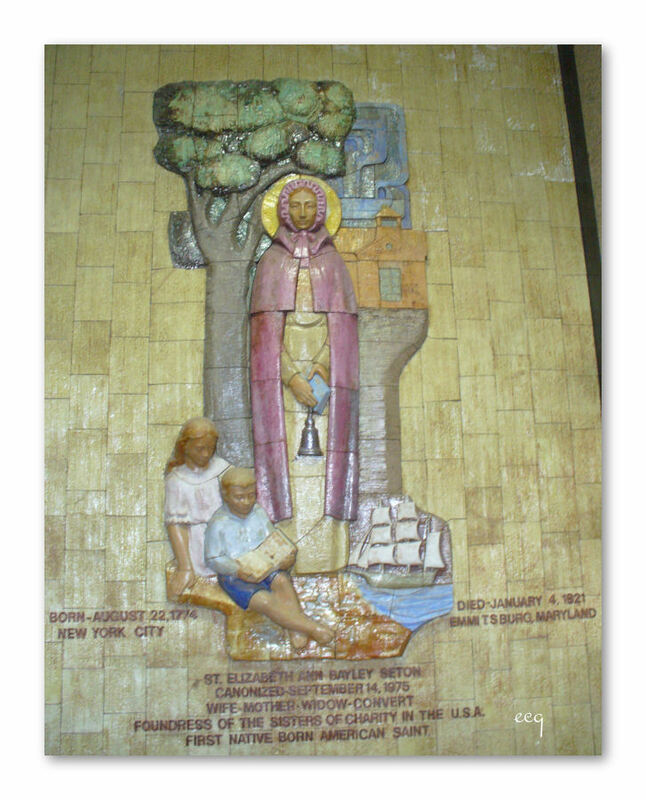 The theme for March for Life 2011 is "Celebrating Life for Generations to Come." The family oriented event will offer a keiki fun fair with educational activities designed to share the sanctity of life message. Activities will also include a sign waving, music, hula, inspirational messages, and a walk through the Capitol district. For event details, visit HRTL Facebook page. Hawaii Right to Life is a non-profit organization that advances respect for life for all people from conception to natural death. Founded in 1973, Hawaii Right to Life is the state affiliate of the National Right to Life Committee.